The Ridgeland TV Lift Entertainment System gives you a traditional look that really complements your beautiful home. The cabinet features 4 doors for storage and this cabinet comes with a highly acclaimed Samsung 55-inch KS8000 4K SUHD TV pre-installed as well as the top rated SONOS PLAYBAR and SUB pre-installed. Click the Featured Components tab on this page to learn more about these components. 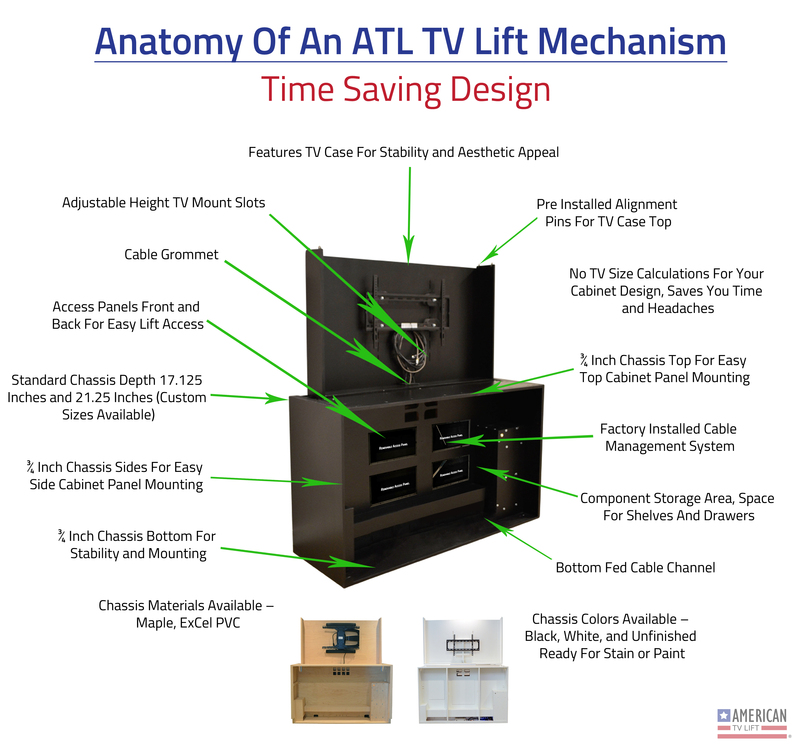 The television is enclosed in a quality matching wood TV case, this provides an added level of strength, stability, and beauty not offered by other TV Lift providers. There are no unsightly wires or backs of TV's to stare at. 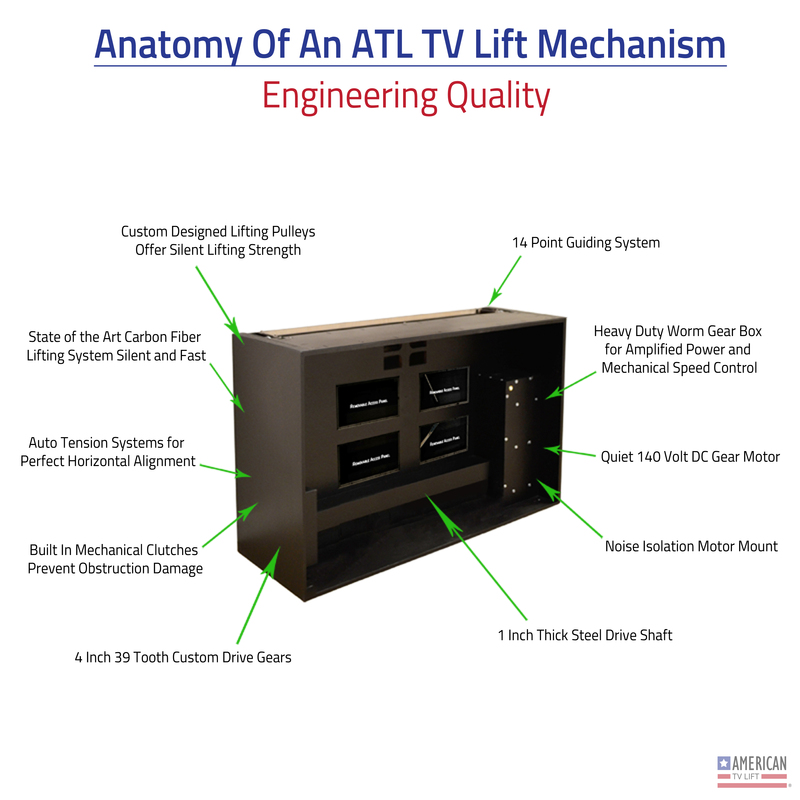 A universal TV mount is included and factory installed in your lift system. 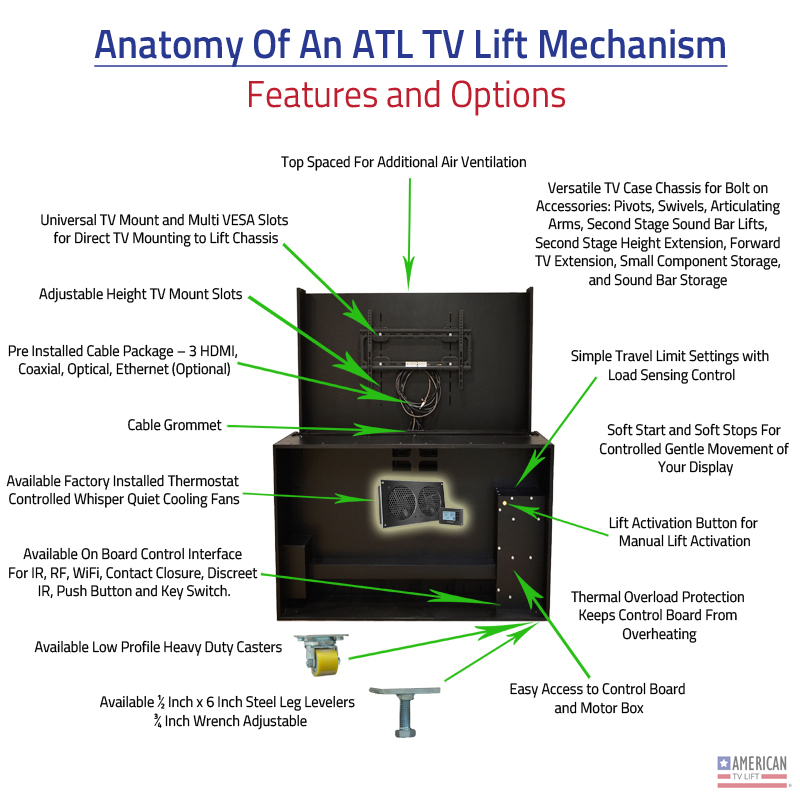 Complementary TV mounting is available so that you don't have to worry about it when you TV lift arrives. A factory installed Xantech remote repeater system allows control of interior components through the closed cabinet doors.The lift system and components can be operated by the provided universal IR remote (no extra remote needed!). A lift and lower button is factory installed giving you the convenience of simply operation. Three newest standard HDMI wires, and a power surge protector are also factory installed to ensure you can connect all of your electronics with zero hassle. Today's most powerful technology pre-installed in handcrafted excellence, this complete package is just what you've been looking for.